March 20, 2013. Welcome to this week&apos;s newsletter. Reminder: Did you turn 70 and 1/2 last year? If so you are required to take the minimum distribution from your traditional IRA by April 1 or face a 50% penalty. Since we discovered in our recent poll that walkability is very important to our members, we thought we would come up with a list of 10 great places to retire with high scores from the rating site, WalkScore.com. It&apos;s a good list with one huge surprise - which state do you think has the most on the list! This fast-growing town in northern SC has a lot of things going for it. 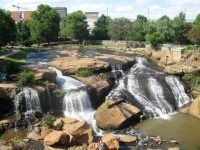 Those include a diversified economy, proximity to mountains and lakes, many great parks, and lovely neighborhoods. Its downtown has won Great American Main Street awards from the National Trust for Historical Preservation. The National Association of Homebuilders just did a survey of what prospective home buyers want, and don&apos;t want in their next home. Here&apos;s a brief report of what they found - and how they correspond to our own survey. Are you a city person who has always dreamed of retiring to an outdoor paradise? A town in the mountains near a ski resort, lakes, and endless wilderness to explore? 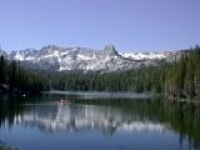 Mammoth Lakes could be for you.